Economic development agencies from cities across Oakland and Macomb Counties have joined forces to create a high tech job fair that connects Southeast Michigan job seekers with businesses from throughout the area that have immediate job openings. The event, Oakland Macomb Job Hub 2011: Where Oakland Macomb Employers Meet SE Michigan Job Seekers, will be held on Thursday, Feb. 24 at Oakland University. Dan Casey, Rochester Hills’ director of economic development, brought the idea to his colleagues in Oakland and Macomb County cities after hearing more employers mentioning they had immediate job openings to fill. In addition to Rochester Hills, participating communities include Auburn Hills, Madison Heights, Southfield, Sterling Heights and Troy, as well as Michigan Works, Expetec Technology Services, the Rochester Downtown Development Authority, Young Professionals of Rochester, Macomb Community College, Oakland Community College and host sponsor, Oakland University. 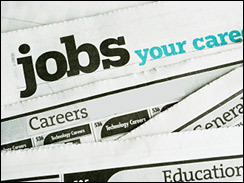 Click HERE for more details on the Oakland Macomb Job Hub 2011.